Acne scarring is common and can have an impact on the wellbeing and confidence of its sufferers. At LBPS we offer a comprehensive approach to treat acne scars based on each individual’s type of scars. Thanks to our innovative approach and the expertise of our Dermatologist we are able to offer a range of treatments to clear your skin of acne scars and any discolouration caused. In general acne scars can be subdivided into: icepick, boxcar, rolling and hypertrophic scars. Icepick scars tend to be narrow and deep and are best treated with punch excision. This is a technique where the individual scar is completely removed surgically and the resultant shallow scar is much more amenable to laser treatment afterwards. Boxcar scars tend to be less deep with shoulders and often rectangular or round shaped. These scars often respond well to laser resurfacing with CO2. Rolling scars tend to have the appearance of hills and valleys and can appear with shadows and can vary in severity. Treatment often includes an initial procedure called subcision where the scarred tissue underneath is cut allowing for release of the tethered scarring. Subsequently laser resurfacing is used for optimal results. At times injection with dermal fillers can help too. In terms of looks, the hypertrophic scar is usually red in colour and slightly elevated. They can become quite itchy or, in some instances, even painful. Hypertrophic scars are caused by injury, as with most scars. Common injuries or occurrences that may result in hypertrophic scars are body piercings, burns, cuts or after severe acne. 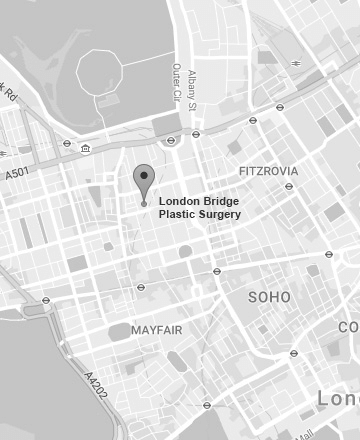 At LBPS our dermatologist will give you an analysis of the type of scar(s) you have and outline a tailored approach to the treatment.